I know you're in the state of random confusion because you don't know which subjects you should select in class 11 because you have done 10th Class recently. This is a real problem to many students because of the lack of guidance. Because your friends say you should select Pre-Engineering because boys select it. Parents say you should select Pre-Medical because they want to see you as a doctor. But nobody thinks that everybody is born with unique qualities. Some students can easily discover in their early age, but most students are unable to find. The first 3 subjects are difficult to most students especially Chemistry and Physics that are the nightmares to many. Listen students, if you want to be a doctor and want to select this field, then you have to study hard, Really hard! Because more than 55,000 students take the MDCAT Entry Test where only 4 to 5 thousand students are selected. The minimum aggregate should be 85%. It means you must have 85% in SSC, HSSC and Entry Tests if you want to be selected in government medical college. There are some other medical tests too like NUMS, then but hard work is needed everywhere. And you must have knowledge that the books of SSC have only 120 to 160 pages per book, but in HSSC the number of pages get doubled - 300 to 400 pages. And You have to same time so does SSC, in order words, more syllabus that you have to cove in a year. That's why, in college it takes a lot of time to cover the syllabus. For your information, in many government colleges the whole syllabus is not taught. The reason is that they start covering syllabus in October and they have to cover before April.It is difficult to them, but in academy it is started from very the next day when papers come to an end of matric students. So if you want to get high marks, then you have to join academy, and start hard work. So you have to work accordingly. If you are studying Pre-Medical so that you can study other fields like BIotechnology, DVM and Molecular Genetics then you have to get some high marks in order to get admission in good universities. As I told above, more than 55,000 Pre-Medical students compete for 3 to 4 thousand seats then you can now imagine where the rest 50,000 students go. Of course they take admission in other fields. Most boys select pre-engineering because they love to be an engineer and they are good at maths. 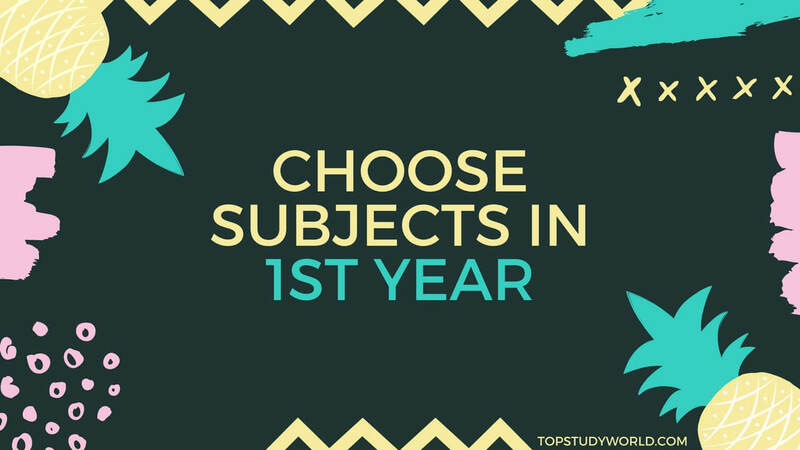 Here again the 3 subjects are difficult and you have to study hard to take admission in the famous universities of Pakistan. In this field, you need less hard work as compared to Pre-Medical, and you can get admission in famous university if your aggregate is above 80%. Don't think the difference of 5% as compared to MDCAT because in % the percentages of students go to points and 100 students may have the same personage. So take this seriously and you have to study ling enough and hard enough. If you love maths, you love to study Physics because of its interesting nature and you love Chemistry due to the organic and inorganic reactions, then this field is for you. ICS stands for Information and Computer Sciences. It's the best field if you have some business mind or ethical hacker mind because other fields have limited jobs, but when it comes to ICS, it has unlimited jobs opportunities. In my article how students can earn money, I said that millions of websites are being created everyday because every school, university, and business need a website or an app. You will be future who will transform the world as the internet should be. It's the most selected field after ICS because of its scope related to banking, accounting and business. It means you read interesting subjects in this field. CA (You can do it with any field even Pre-Medical). Work at Bank or any accounted department of any company. In our society thinks the people who do FA is not successful, but they are the people who can more success than others if they make use of the brain and have keen curiosity to learn new things depicted later. you might be thinking why did I say you can more successful than others. Many reasons I explained in detail in my 8000-word on making money online, You have to read the article, then I am sure there would be no questions in your mind. In simple words, you have time and you can earn from very the first day when you become an expert of skills. I also showed the free resouces where you can easily learn the skills, then you can earn more. If you're thinking it is new, then it is not. Pakistan ranks as the 4th most popular country for freelancing industry. Ask any question below without any hesitation, our team will love to help you. Are you confused which subjects you should study after SSC exams at intermediate level? Here we explained all the 5 fields, select your best one.